Kathleen’s Closet is a division of the Economic Empowerment Program at YWCA Olympia. 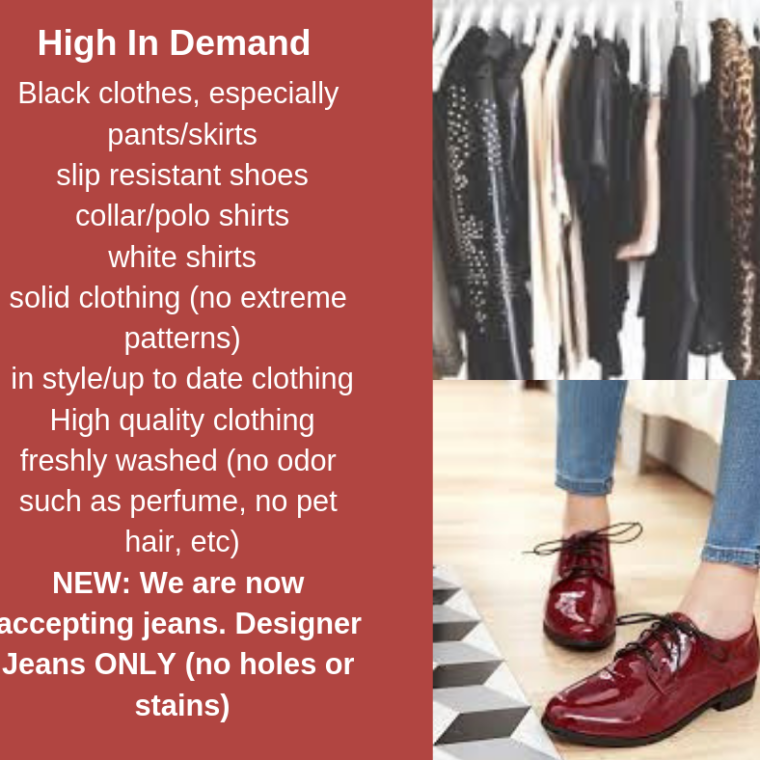 Kathleen’s Closet helps unemployed and underemployed womxn by providing no-cost professional attire to womxn seeking employment and those just starting a job. We work with womxn to create not only an interview outfit, but also supply the pieces to mix and match to create a foundation for their professional wardrobe. But it is more than a pair of shoes and a nice shirt. Our goal is to ensure women have the skills, opportunities and resources to move beyond minimum wage and experience financial stability. This means that Kathleen’s Closet also serves as a hands-on job-training program for participants in the Economic Empowerment Program. Our EEP trainees staff, inventory and promote this essential service. Need professional clothing? Call the YWCA at 352-0593 Mon-Thurs between 9am – 4pm to schedule your appointment. Sorry, appointments only as we are unable to serve drop-in clients at this time. Sign-up online for an appointment here! Interested in helping Kathleen’s Closet? Give us a call at 352-0593. Update 03/06/19: Kathleen’s Closet is NOW accepting donations. Please review the list below BEFORE donating and PLEASE prioritize these items, as we will not be able to take donations outside of this list. You can bring your contributions to YWCA (220 Union Ave SE, Olympia) donations Mon-Thurs between 9:00 am-4:00 pm. If you have more than 50 items to donate, please call ahead to find out the best time to deliver items. PS: To learn about other agencies collecting your generous contribution of clothing. Check out the outfits created by guests at the 2015 Spring Into Action: Mission Showcase!